Minnesota Democratic Sen. Amy Klobuchar tried to make a joke about the time she ate a salad with a hair comb, saying “it needed just a bit of scalp oil and a pinch of dandruff” Saturday. 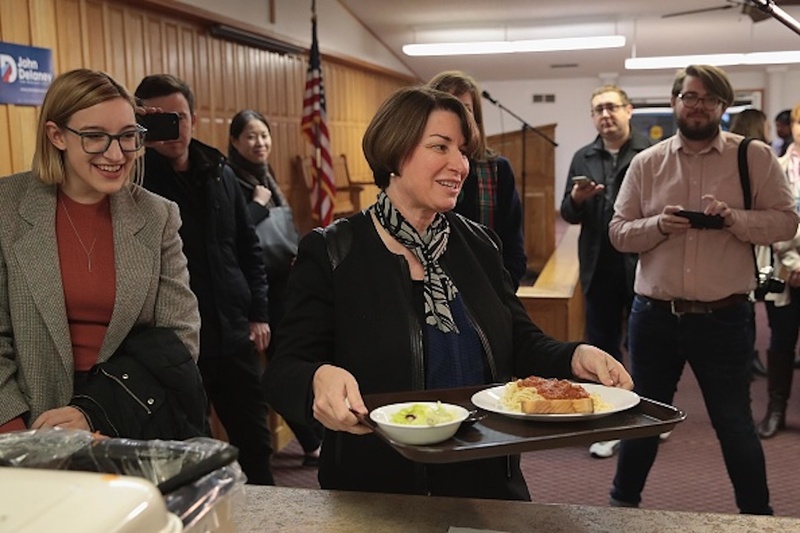 At the Gridiron Club dinner in Washington, D.C., Klobuchar, a 2020 hopeful, referenced The New York Times story, which said she did not have utensils to eat a salad when flying to South Carolina in 2008, so she instead used her comb, and then had her staffer clean the comb after she was finished with her salad. “How did everyone like the salad? I thought it was OK, but it needed just a bit of scalp oil and a pinch of dandruff, would be a little better,” she said at the annual event, CNN reported. She has since faced criticism for being rude to staff, making many of her employees cry as well as reportedly hitting one of her staffers with a binder.